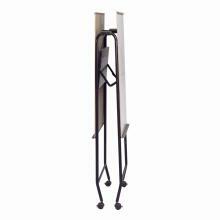 Use the Mobile Whiteboard for large classes! The Mobile Whiteboard is the perfect teaching tool for teachers who teach large classes. 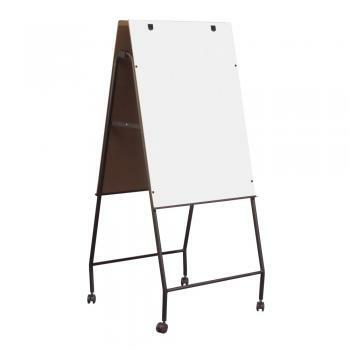 With two large dry erasable sides and four well-lubricated wheels, teachers can use this board to write down the same information on each board and then roll the whiteboard down every classroom aisle. The sturdy porcelain steel construction is also environmentally friendly, since the Mobile Whiteboard does not emit harmful VOCs and it is constructed from recyclable materials. You will love the superior writing and erasing qualities of the melamine board surfaces, along with the sharp color contrasts that allow students in the back row to see your lessons. 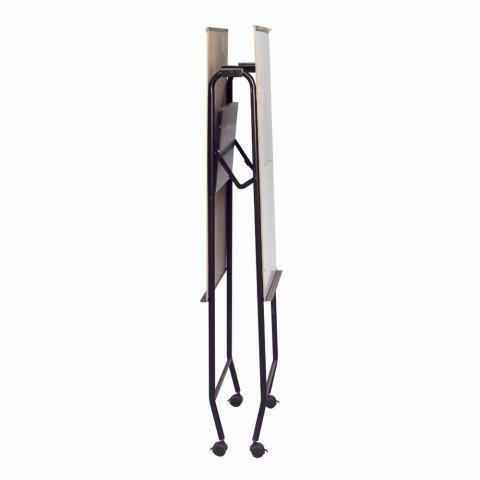 The frame folds for easy storage and secures with two locking casters. The accessory trays on each side provide plenty of room for you to store the erasable markers that we add at no extra charge.